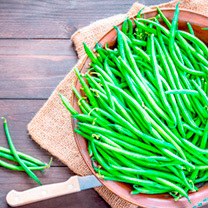 French bean seeds come in two main varieties (Climbing French and Dwarf French) and are more commonly known as green beans. 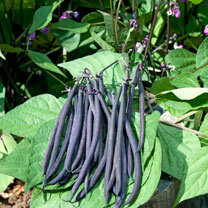 They are a brilliant addition to any veg garden, producing beautiful tasting string-less pods. 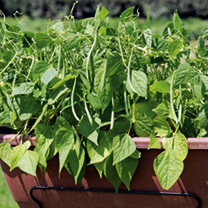 For delicious pods in a variety of shapes and colours in as little as 8 weeks from sowing! 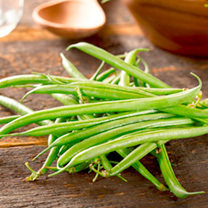 Your French bean seeds need to be sown outdoors between April and June and take just 12 weeks to reach maturity! If desired they can be grown under glass between March and April ready for transplanting outdoors. 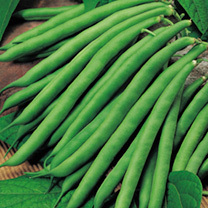 How can I grow an early crop of French Beans in greenhouse? 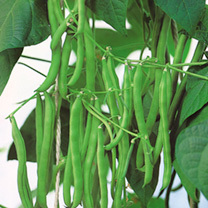 Both Dwarf and Climbing French Beans can be grown to maturity in a greenhouse if a minimum night temperature of 16-18ºC (60-65ºF) is available. 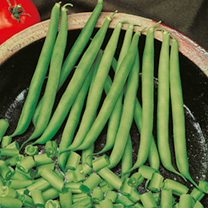 Sowings can be made in January if light conditions are good otherwise defer sowing to February. A minimum day temperature of 16ºC (60ºF) is necessary although as high as 24ºC (75ºF) is preferable. 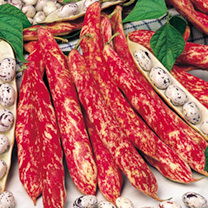 Temperatures in excess of 30ºC (85ºF) are likely to result in the flowers aborting. 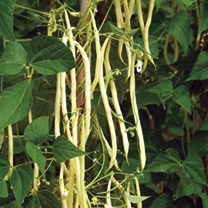 Under greenhouse conditions Climbing French Beans can be very vigorous and a proportion of the older mature leaves should be removed to allow penetration of light, which will also improve air movement around the plants, reducing the risk of attack by the fungal disease Botrytis. 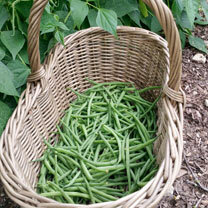 The crop grows well in growbags which tend to provide a warmer environment for the root system. 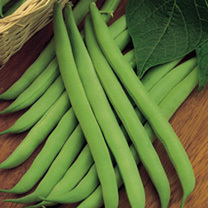 Under good conditions harvesting will commence 8-12 weeks from sowing. 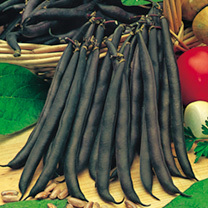 Can you tell me why black to dark brown fungal growth has appeared on my French Beans? 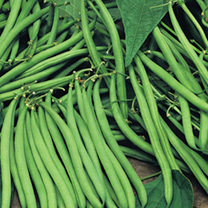 Halo Blight is a bacterial disease attacking French and Runner beans. It is more likely to be a problem in wet seasons. Small water soaked areas appear on the foliage, which gradually dry and become surrounded by a yellow area or halo. As the disease progresses the leaves have inter-veinal yellowing and may eventually become completely yellow. 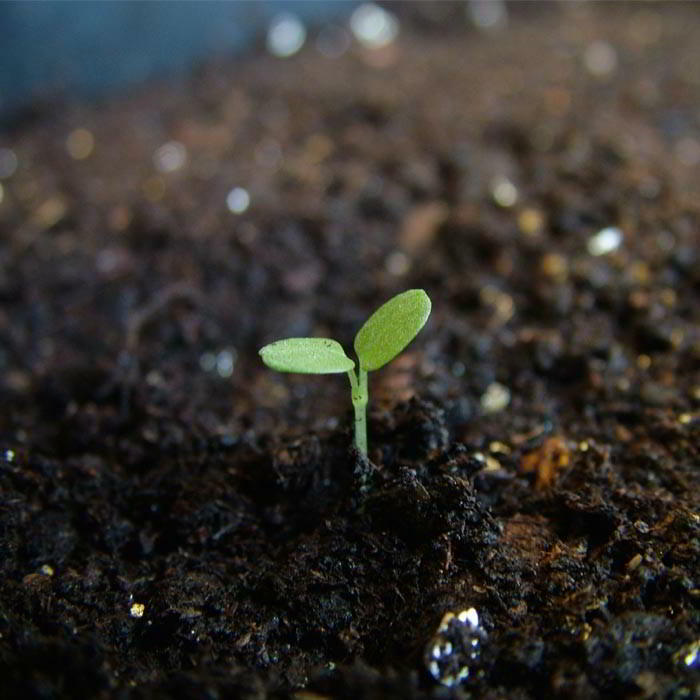 The stem may also be attacked, seedlings may wither and die, and those that survive remain stunted. 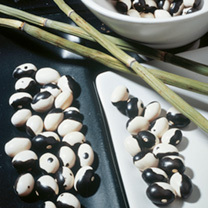 The pods may also become infected and develop grey, water soaked patches. The bacteria are spread by water splashing on the foliage. Therefore, overhead watering should be avoided and if not badly infected, remove affected leaves as soon as the symptoms appear. In severe attacks destroy the affected plants. 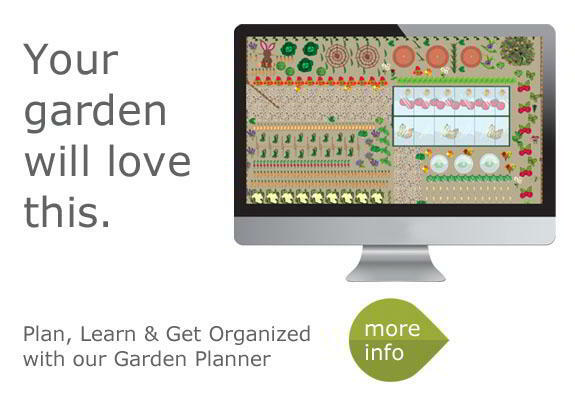 At the end of the season remove and destroy the affected plants and do not save the seed. There are currently no chemicals available to control this disease.